Apparently, Uncle Dee was at the Printing press when T.Y. Danjuma was gifted with $1bn oil block. Joker! Dele Momodu, you are a sorry joke. You have tried unsuccessfully to wash your hands off the corrupt people who you eulogize via your magazine. But guess what? People are not fooled. Your performance at the April polls says it all. Its an insult for you to describe T.Y. 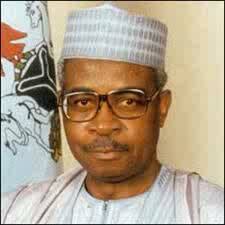 Danjuma as a "successful" businessman. Only by your two-sides-of-the-mouth standards. A man who was corruptly gifted an oil well by one of the most despotic governments this nation has known! I didn't bother completing the piece because as its usual with your utterances, its riddled with thrash. Save us your holier than thou postulations, cause it would not wash!!! Dunno if it's because of "Ovation" days or because of the unnessary uncommon words he uses but I just can't seem to take Dele Momodu seriously. Sorry dude.